Manufacturer & Supplier of Fire Short Branch Pipes. Our product range also comprises of Security Equipment & Systems, Boom Barrier and Fire Extinguisher. 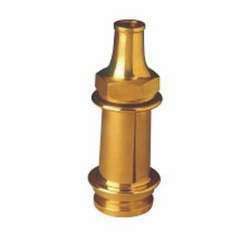 We manufacture and supply a gamut of Fire Short Branch Pipes, which can be fitted with the choice of nozzles. Widely used by fire brigades, these are highly demanded in the market. To suit the diverse requirements and demands of our valued patrons, we make our range of fire short branch pipes available in different metals. Further, we assure the durability of the whole range of the offered branch pipes.